Tattoo Smart is your resource for digital tattoo design tools. Created by tattoo artists, Tattoo Smart provides custom brushes, streaming color theory and technical tutorials, reference eBooks, and other tools, empowering you to learn new digital skills and improve your design workflows. Cory started designing products for Tattoo Smart in 2017. He is currently working on releasing 2 more e-books. Pushing the limits of pattern brushes in Procreate, Cory developed innovative Morph brushes that vary in density with pressure on your screen and the more times you go over the area. Tip: Keep the Apple Pencil continuously on the screen while you create the Morpheffect. PLEASE NOTE: Tattoo Smart repeater brushes made for Procreate work best in straight paths. As you draw in tight arcs and spirals, you may notice the source image disconnecting and creating a stepped or broken pattern. Use the brushes to quickly draft the initial shapes and patterns, then easily draw over the path to correct the design for individual tattoos. PLEASE NOTE: Tattoo Smart pattern brushes made for Procreate work best in straight paths. As you draw in tight arcs and spirals, you may notice the source image disconnecting and creating a stepped or broken pattern. 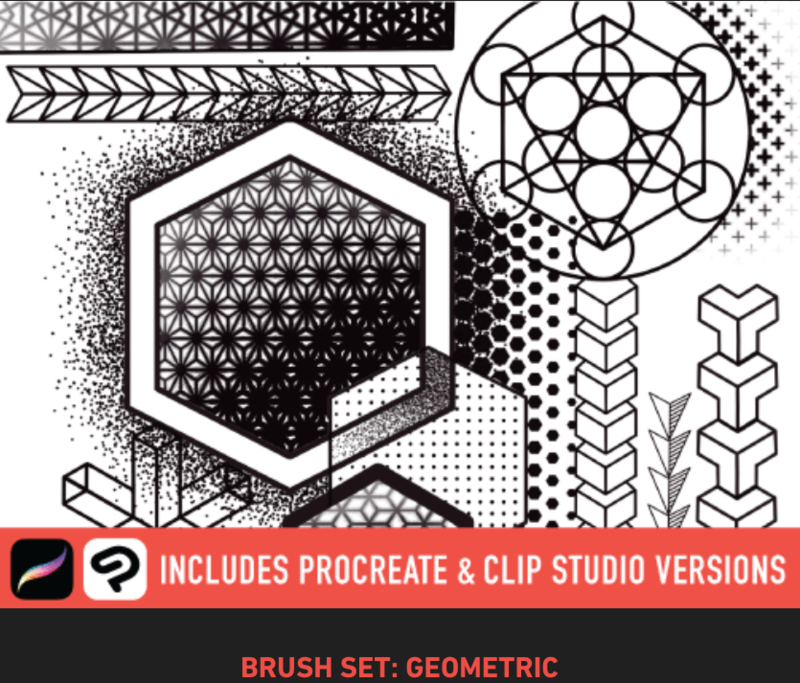 Use the brushes to quickly draft the initial shapes and patterns, then easily draw over the path to correct the design for individual tattoos.